It is rare that a person’s circumstances today will be exactly as they were five years ago, or that they will remain the same within the next five years. Unexpected job loss, injury, an increase in healthcare costs, a decrease in daycare costs, and other unforeseen events may put a person in a better or worse financial position than he or she was in when the Florida courts first handed down a child support order. To account for changes in circumstances, the courts may allow for modification of support orders. However, a court may only grant a modification in limited circumstances. Florida judges are not quick to modify child support orders upon request, as they are very deliberate in how they determine support amounts in the first place. One parent cannot bear this expense alone, hence the need for child support and the courts’ unwillingness to stray from state guidelines. Depending on the wording of the agreement, a person may be responsible for college expenses and any non-covered medical, dental, or prescription medications of the child. In order to modify a child support order in Florida, you must first prove a substantial change of circumstances since the Final Judgment of Dissolution of Marriage was entered. 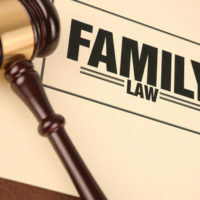 If it has been considerable time since you and your spouse separated, or if you were never married, the change in circumstance must have occurred since the last time a Florida Family Court addressed your child support arrangement. Childcare is no longer necessary, or the child becomes emancipated. It is not enough, however, to prove that a substantial change in circumstances has occurred. A court will only modify an existing order if the new amount is at least 15 percent more or less (or $50.00 per month, whichever is greater) than the previous amount. If you have undergone a recent change in circumstances that is substantial and that affects your ability to provide for your child, retain the help of a qualified Boca Raton modification lawyer. One of our attorneys here at Wise Lieberman, PLLC, can present your case in a favorable light and argue the need for a modification. To get on the path to a more secure financial future for yourself and your child, contact our law firm today.